Strategic Management is a way in which strategists set the objectives and proceed about attaining them. 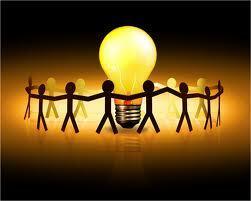 It deals with making and implementing decisions about future direction of an organization. It helps us to identify the direction in which an organization is moving. Strategic management is a continuous process that evaluates and controls the business and the industries in which an organization is involved; evaluates its competitors and sets goals and strategies to meet all existing and potential competitors; and then reevaluates strategies on a regular basis to determine how it has been implemented and whether it was successful or does it needs replacement. Strategic Management is all about identification and description of the strategies that managers can carry so as to achieve better performance and a competitive advantage for their organization. An organization is said to have competitive advantage if its profitability is higher than the average profitability for all companies in its industry. Strategic management can also be defined as a bundle of decisions and acts which a manager undertakes and which decides the result of the firm’s performance. The manager must have a thorough knowledge and analysis of the general and competitive organizational environment so as to take right decisions. They should conduct a SWOT Analysis (Strengths, Weaknesses, Opportunities, and Threats), i.e., they should make best possible utilization of strengths, minimize the organizational weaknesses, make use of arising opportunities from the business environment and shouldn’t ignore the threats. Strategic management is nothing but planning for both predictable as well as unfeasible contingencies. It is applicable to both small as well as large organizations as even the smallest organization face competition and, by formulating and implementing appropriate strategies, they can attain sustainable competitive advantage. Strategic Management gives a broader perspective to the employees of an organization and they can better understand how their job fits into the entire organizational plan and how it is co-related to other organizational members. It is nothing but the art of managing employees in a manner which maximizes the ability of achieving business objectives.The employees become more trustworthy, more committed and more satisfied as they can co-relate themselves very well with each organizational task. They can understand the reaction of environmental changes on the organization and the probable response of the organization with the help of strategic management. Thus the employees can judge the impact of such changes on their own job and can effectively face the changes. The managers and employees must do appropriate things in appropriate manner. They need to be both effective as well as efficient. One of the major role of strategic management is to incorporate various functional areas of the organization completely, as well as, to ensure these functional areas harmonize and get together well. Another role of strategic management is to keep a continuous eye on the goals and objectives of the organization.